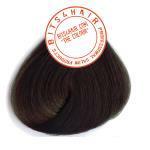 "THE CONDITIONER” IS A COLOUR PROTECTION AND DETANGLER REPAIR CONDITIONER WHICH CLOSES THE CUTICLE. 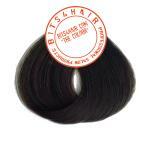 IT CONTAINS MILK PROTEIN, KERATIN PROTEIN AND SILK AMINO ACIDS TO LEAVE HAIR HYRDRATED AND NOURISHED. 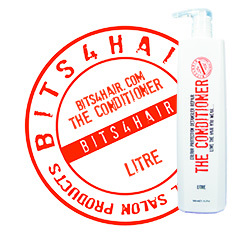 Size: 1ltr Bottle BITS4HAIR "THE CONDITIONER". (with Pump). APPLY TO HAIR ALREADY SHAMPOOED WITH "THE SHAMPOO” AND LEAVE FOR 3 TO 5 MINUTES. THEN RINSE HAIR WELL AND STYLE AS DESIRED. Ingredients: AQUA, CETEARYL ALCOHOL, CETRIMONIUM CHLORIDE, HYDROLYZED MILK PROTEIN, MEL, HYDROLYZED KERATIN, HYDROLYZED SILK, PARAFFINUM LIQUIDUM, PARFUM, GUAR HYDROXYPROPYLTRIMONIUM CHLORIDE, BEHENTRIMONIUM METHOSULFATE, METHYLCHLOROISOTHIAZOLINONE, CITRIC ACID, METHYLISOTHIAZOLINONE, ALPHA-ISOMETHYL IONONE, COUMARIN, CI 17200, CI 19140.